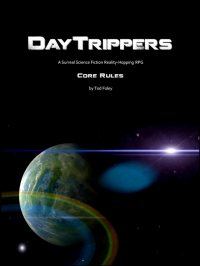 The PCs are pitted against bizarre shape-shifting lifeforms on a mysterious and dangerously hostile planet in a distant galaxy, where they will find a murder mystery waiting to be solved. This adventure is designed to let the PCs show off a variety of skills while simultaneously giving your players the creeps. VIDOME 123 is a DayTrippers adventure module for 2 or more players. The tone is dark and spooky, with serious threats from inscrutable foes (both human and alien), and the plot is open-ended. 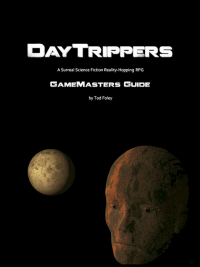 This module is recommended for DayTrippers with at least one previous mission under their belt.